Mr Steve Brem, 69, a well-known and respected bloodstock adviser to Gai Waterhouse for six years, passed away yesterday following a long-term illness. Mr Brem was a former racing journalist, bloodstock adviser and stud manager in New Zealand before being recruited by the Waterhouse stable to bring more stud-owned racing stock into the stable. While in Waikato (NZ), he became involved with the NZTBA and held the position of Secretary on the Waikato branch before becoming the first National Secretary of the NZTBA based in Wellington. 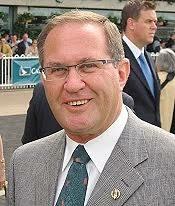 Mr Brem was then Managing Director at Waikato Stud before moving on to Haunui Farm for 10 years. While with the Gai Waterhouse camp, Mr Brem regularly inspected yearlings and gave advice on bloodlines suitable for the stable and its vast numbers of clients. He also was a popular figure with stable clients and Denise Martin’s Star Thoroughbred’s as he liaised between the owners and the stable. Another of his roles was media liaison and he was always accessible, and popular, with the media both on and off the track. Mr Brem was instrumental in the selection of star gallopers D’argento, winner of the Group 1 Rosehill Guineas, and top-flight filly Fiesta (Gr 2 Silver Shadow Stakes and Gr 3 Widden Stakes).